If your dog is having difficulty breathing, is losing weight and suffers from a cough, he may be suffering from the deadly condition of Dilated Cardiomyopathy (DCM) – also known as enlarged heart in dogs. But fear not, these symptoms could also be indicative of something less severe. Here is what you need to know about the condition, what the scientific evidence shows about DCM in dogs and what you should do if you suspect your dog to have it. Related terms: enlarged heart in dogs, systolic heart failure, Primary Idiopathic Myocardial Failure (PIMF), Dilative cardiomyopathy, Primary idiopathic myocardial failure. An enlarged heart in dogs is an almost always fatal condition which renders a dog’s heart incapable of working normally due to inflammation. The inflamed valves – unable to close properly – cause the blood to back up and flow back into the heart, thus causing a buildup of blood, filling and stretches out the heart walls and ultimately weakening the heart. Survival rates are very low. Dogs with dilated cardiomyopathy have low survival rates. Let's take a look at the data. One study shows the average survival time of dogs with enlarged heart is anywhere from 6 months to 12 months, with very few cases where a dog survives 1.5 years (source). Another study with 189 dogs and 38 breeds found survival rates of 17.5% at one year and 7.5% at two years, which is very low (source). And another study of survival analysis with 37 dogs found that a 50% probability of survival occurred at 2.3 months (source). Symptoms are difficult to notice. Most common sign is persistent coughing accompanied by difficulty breathing. Vets and scientists struggle to diagnose the condition of enlarged heart in dogs, as it’s impossible to see the inflammation without an ultrasound, and it remains a very difficult condition to deal with. A heart murmur is sometimes apparent and can be picked up with a stethoscope. 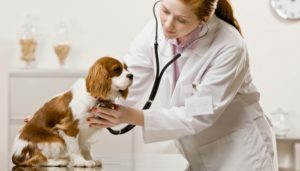 As with any medical issue, we advise that you contact your veterinarian immediately. Unfortunately, the prognosis for a dog diagnosed with DCM is not great. The life expectancy for a dog with this condition can be from weeks to a few years – depending on the time of diagnosis, and treatment. 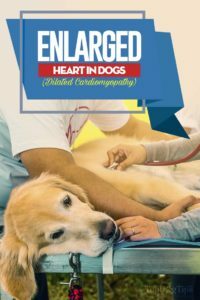 What Does Enlarged Heart in Dogs Mean? An enlarged heart is a dangerous condition characterized by a heart that does not function properly due to inflammation. Inflammation of the heart diminishes not only your dog’s heart's ability to contract, but also the valve's ability to close when pumping blood. Along with being uncomfortable and distressing for the dog, it causes damage to all tissue within the body. This means that blood can flow backward through the partially open valves, the stress and pressure of which stretch out the heart walls, causing them to weaken over time. When issues occur with the heart, it’s a tricky situation. Not only will this cause damage to the heart itself, but as a direct result of the poor blood flow, all organs will be detrimentally affected, most notably the lungs. Any dogs suffering from heart disease will have the side effect of the body retaining more salt than necessary. In turn, this makes the body retain excess fluid. The result is fluid building up in the lungs, and as more and more fluid builds up, there is less space for oxygen. How Dilated Cardiomyopathy affects a dog's heart. Who's Likely to Suffer from DCM? We most emphatically need to conduct more research to understand what causes enlarged heart in dogs. Unfortunately, while the affliction echoes the condition seen in humans, we know much more about what causes this in humans – most commonly, coronary artery disease. Research suggests that dogs most likely to develop DCM are those within the age range of four to ten years old, but that is most emphatically not to say that every senior dog will suffer from this horrible disease. Portuguese Water Dogs are an exception to this rule, most often showing signs at an incredibly young age. As with any heart condition, pets carrying excess weight (most commonly those fitting within the obese category) will be at a higher risk of developing enlarged heart in dogs. There's a good amount of scientific evidence showing that accurate body condition assessment of the dog and maintaining a healthy weight can prevent many health conditions and extend the dog's lifespan. Back in the 1970’s enlarged heart in dogs began mysteriously killing pets around the world. After much confusion, and research later on, it was determined that a key factor was the change in diet. This was mostly due to WWII restrictions. Pets moved from natural meat to dry kibble, which ended in Taurine deficiencies. Experts believe that genetic susceptibility may play a role in determining canines that may be at high risk of contracting enlarged heart in dogs. Usually, veterinarians name breeds like the Doberman and Cocker Spaniels as well-known contract this condition at a greater rate than others. However, further studies have included more breeds into the equation as dogs highly predisposed to DCM: Newfoundland, Portuguese Water dog, Boxer, Great Dane and Irish Wolfhound (source). The same study also found that there's a gender predisposition, with male dogs being more likely to develop enlarged heart disease than female dogs. A difficult one to spot, dilated cardiomyopathy won’t necessarily cause your dog to show any adverse symptoms until the disease has progressed to such a state that little can be done to treat it, and this has been confirmed in studies with hundreds of dogs (linked above). Nevertheless, there have been cases of enlarged heart in dogs that have been caught by astute owners and veterinarians. Some groups out there are encouraging pet owners to watch out for a few well-known signs of DCM in dogs. Keep in mind that these signs are also often associated with many other conditions. As one of the most difficult diseases to diagnose, I have every sympathy for the unlucky vets who have the task of trying their utmost to spot it. Even the most qualified veterinarian, when checking for heart disease may be unable to detect DCM. This is because before the illness progresses to a severe state, the heart may in itself sound entirely healthy. The only true way to spot DCM is through an ultrasound. Imagine this scenario if you will. You bring your dog to the veterinarian for a check-up. She does all of the regular checks including listening to Fido’s heart, which sounds normal. Your dog is all signed off and ready to go. Or so the veterinarian would be led to believe. The fact of the matter is that we simply cannot tell whether the heart is inflamed solely from listening to it. Sure, a grossly enlarged heart in dogs may develop a heart murmur, but this isn’t always immediate. Ultrasounds can be a costly affair, one which may require mild sedation. 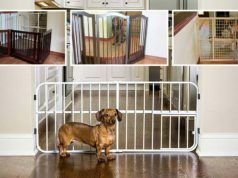 Therefore it’s easy to see why veterinarians and owners alike are in a very tricky position when it comes to maintaining the health of the canines in their charge. While it’s true that prognosis for dogs diagnosed with Dilated Cardiomyopathy is not good, some dogs can go on to live happy and reasonably long lives with the right diet, exercise and medical treatment. When researching cases of dogs working to beat the odds, I stumbled onto The Big Hearts Fund, a canine charity dedicated to raising funds and awareness for dogs and cats with heart disease. It was there that we found the story of Melanie the Chihuahua and her wondrous owner Martha. Before Melanie entered the picture, Martha was the proud owner of two adorable Chihuahua’s named Molly and Maggie. After the sad passing of Maggie, Martha made the brave decision to welcome another canine into her’s and Molly’s home. Not overly enthusiastic to take on a younger dog, Martha inadvertently fell in love with the young fluffball and gave her a forever home. Pretty early on Martha could tell that something wasn’t right, and so whisked little Melanie off to the veterinarian for a check-up. It was here that the vet discovered something that no owner ever wants to hear – Melanie was suffering from an enlarged heart caused by patent ductus arteriosus (a heart defect caused by problems during the development of the heart) and had mere weeks to live. Luckily, in this case, surgery was available to correct the defect. Thanks to a generous grant from The Big Hearts Fund – the otherwise unaffordable surgery was undertaken to save Melanie’s life. The lesson to learn from Martha is that as soon as you notice that something isn’t right, consult your veterinarian. If she had waited only two weeks, it’s possible that it would have been too late for little Melanie. As little is known to indicate what causes this medical conundrum, little can be known as to what will prevent it. There are some steps that you can take to help limit and detect this deadly disease. Some studies have tried many different medical and veterinary approaches to treat and prevent enlarged heart in dogs, with a varying degree of success (source). This research was unable to pinpoint the best treatment and prevention for DCM in dogs. But here are a few things to keep in mind. Dogs carrying excess weight are far more prone to heart disease, and for that matter, any disease. Recent studies on the digestive system of the canine have provided great insight into what constitutes an ideal diet, and the overall consensus is that a lean dog, fed with natural, minimally processed food will likely afford better health. None of us want to be in the position of having missed the window of opportunity to cure or treat our dog for a serious ailment. 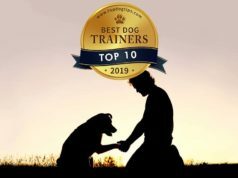 Our dogs truly are members of the family, and for that reason, I would encourage any self-respecting dog owner to conduct frequent at home check-ups, as well as attending regular check-ups at the vet's office too. Treatment might start at the vet's office, but it continues at home. As mentioned earlier, heart disease of any kind will cause the body to retain too much salt. This is not good, mainly due to the fluid retention that it causes. When feeding a dog with heart disease, it’s important to steer clear of salt and sodium. That doesn’t just mean reading the dog food label. You need to read treat packs and consider any human scraps before tossing them over to your four-legged friend as well. Obese dogs diagnosed with DCM will greatly benefit from losing weight through diet and exercise. The life expectancy and quality of life for dogs maintaining an overweight frame are often far shorter than their leaner counterparts. Hawthorn is frequently recommended by European doctors to treat and prevent heart disease in dogs due to the plant’s innate ability to normalize an irregular heart rate. Of course, it's best to discuss any kind of natural supplements with your veterinarian before adding them to your dog's diet. Unfortunately, a diagnosis of DCM is never good news. The prognosis is guarded at best, but some medical treatments are available to slow the effects, and increase comfort levels. In cases where Cardio Dilatedmyopathy is apparent due in part to a malformation, surgical repair of the congenital disability can (in many cases) correct the DCM. In the later stages of the disease, breathing difficulties can cause distress and discomfort. By giving oxygen to the pooch in question, their quality of life will improve. One way that veterinarians attempt to relieve some of the fluid buildups is through the use of diuretics. Not a very fun procedure, Thoracentesis is the name of the procedure whereby a needle is used to relieve the fluid build up in the lungs by puncturing through the chest cavity. Angiotensin converting enzyme (ACE) inhibitors are a form of medication that can be used to slow blood pressure and the stress upon the heart’s valves. Taurine while necessary to a feline's diet, is not usually required as an additional supplement for canines. This is because a dog's body can produce it naturally. In rare cases, canines have shown a diminished ability in doing so and may need supplemental help. Logic dictates that if a Taurine deficiency can cause DCM, a Taurine supplement should be able to help treat DCM. You may be surprised to hear that heart disease runs rampant among canines, with a staggering 25% of dogs over the age of seven suffering with some form of a heart condition. Knowing how to watch out for the signs of DCM in dogs and other heart conditions, and ensuring regular vet visits, is the best way to prevent this. A deadly disease, dilated cardiomyopathy combines the unfortunate difficulty in spotting, with the almost negligible treatment options available. For owners in the horrendous position of owning a dog diagnosed with this affliction, take solace knowing that your veterinarian is skilled and experienced in relieving pain and discomfort for your dog. In case of enlarged heart in dogs, by seeking immediate medical opinion and treatment when you suspect DCM – you're affording your dog a better quality of life for their last weeks, months, or even years.